The possibilities of the exploration of space are both exciting and challenging. To actually live on another planetary body, is perhaps the most daring challenge ever undertaken by the human race. Human exploration of space has the potential to enrich our knowledge and provide us with resources to enrich the lives of every person on planet Earth. Several things will be required in order to accomplish this amazing feat. It will begin with small steps. We have already reached the Moon and the next steps will most likely involve actually inhabiting the Moon, growing plants there and then proceeding to land humans on the planet Mars. The big difference between travelling to the Moon and travelling to Mars is the distance and hence the duration of the mission. 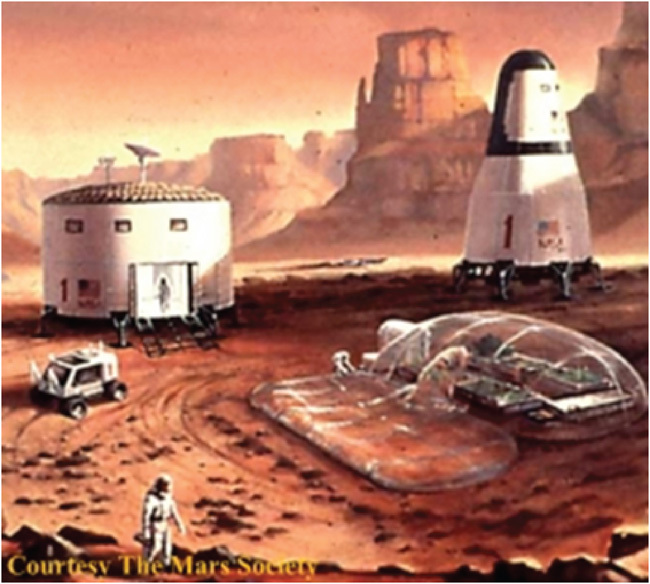 The technical difficulties associated with travelling to Mars may not be the biggest challenge. The ability to provide sufficient food and air for the inhabitants of the space vehicle will be among the major challenges! It is the area of human survival in space that is least understood. Human survival in space is an extremely broad field of research to which your class can contribute in an important way. A typical mission to Mars would require enough materials and food to last the crew between two and three years. Although food can be dehydrated and reconstituted with water, some of the physical needs of the crew must be satisfied by growing crops, such as tomatoes. 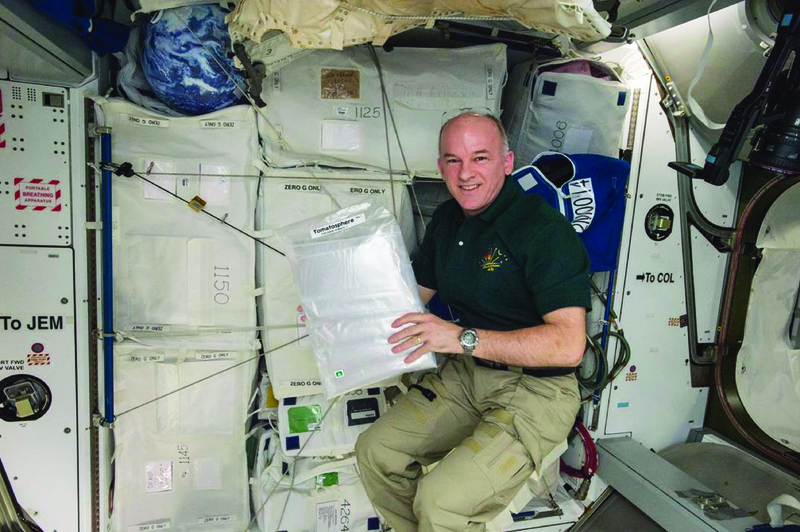 Growing plants for food during the mission has the potential to satisfy important physical and physiological needs of the crew. Fresh food provides food energy (kilojoules) essential for human survival. Plants have the ability to extract contaminants from the water and air within the crew’s living environment. Fresh produce is rich in essential vitamins and minerals necessary to maintain good health. transportable food mass. A single seed with a mass of 1 gram might produce several kilograms of edible fruit. This is an important mass-saving factor for space travel. As anyone who has experienced a Canadian winter knows, long-term confinement, isolation, restricted personal space, boredom and the absolute predictability of everyday events are stressful. Studies have shown that growing plants and caring for other living things (e.g. pets) can reduce this psychological stress. The care and nurture of living things alleviates boredom, provides an essential element of unpredictability or uncertainty in the outcome, provides a changing view of one’s surroundings, and offers a sense of Nature in an otherwise mechanical environment. How many seeds is enough to send to Mars? Might we need to send five times more seeds or a hundred times more than we predict will be needed? If we assume that the conditions on the Martian surface are far too severe for ordinary seeds to germinate, what are the key elements of a greenhouse to grow crops on Mars? How will it be different from greenhouses on Earth? Would seeds germinate in that greenhouse or would it be better to germinate the seeds in the space vehicle before landing? What are the advantages that might be gained from the presence of water in some form under the surface on Mars? Your class can provide scientists and mission planners with critical information by performing this scientific investigation. During the TomatosphereTM project, you will germinate seeds from two sources and submit your results online at the end of the project. 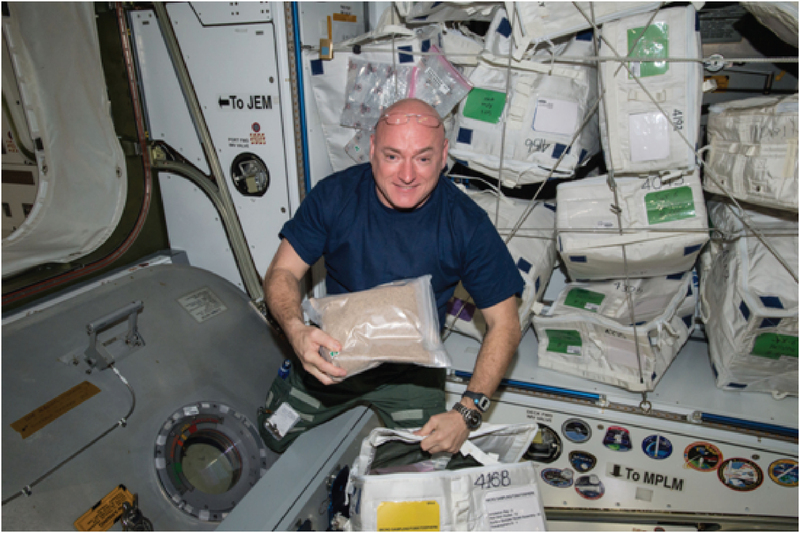 This classroom experiment is a blind test – you will not know which seed package contains the control seeds and which contains those that have spent time at the International Space Station. When you enter your results online at Tomatosphere.org, the origin of the two types of seeds will be revealed. You will receive approximately 30 seeds in each envelope (+/- 5). So, for every class registered, you will receive approximately 60 seeds. If you wish some “guiding questions” to get your students thinking about exploring space and Mars, there are some starting points that you can use to get students started in the Classroom Resources Section – Exploring Space – Student Questions.